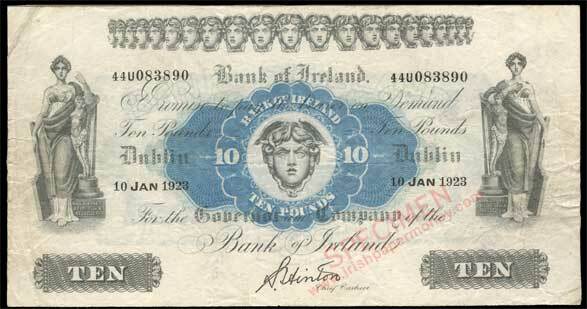 The section on Bank of Ireland notes Series H 1922-1928 Irish Free State has been completely revised, with the addition of a new introductory page, and many new images. 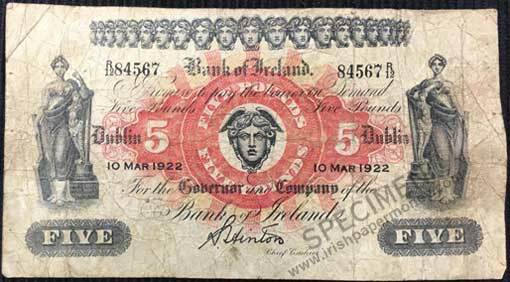 Also added is a date gallery, Series H Bank of Ireland date listing 1922-1928 with a picture of a banknote of each date of issue for every denomination. Over 40 new images have been added. A few dates remain to be filled, and pictures of these are sought. 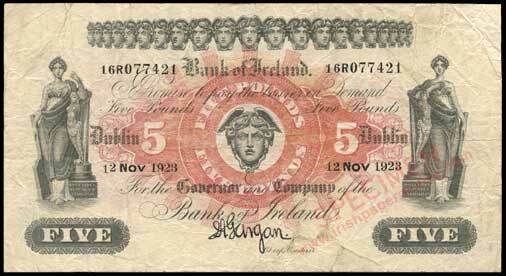 Bank of Ireland, Twenty Pounds 1922 Specimen. Nice to see the update to this section. 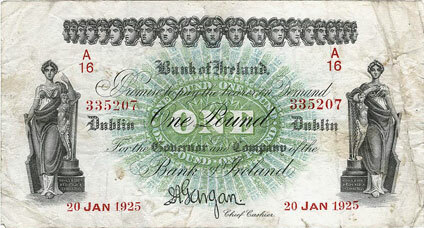 I wonder if a 1922 £10 was ever issued? Interesting question. 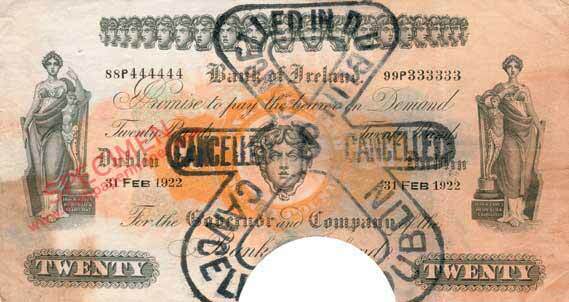 There is no reason for a 1922 £10 or £20 to not have been issued! The fact that they have not been recorded doesn't mean that one won't turn up someday. Some examples of unknown issues that recently turned up are the 1928 £5 note date, and the 1919 Fleming signature multibranch £5 note. So we can live in hope for more 1922 dates! A 1922 £20 would be a nice note to see. Might be some, as there are specimens. Just added a missing date to the £5 notes section of the Bank of Ireland date listings, thanks to the board members who spotted it! Interestingly, it is a Type 1 note with copperplate typeface date. That leaves R11 and R13 waiting to be discovered.